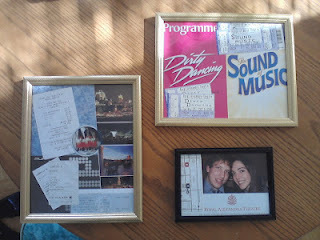 These three picture frames were inspired by my readings on the internet about how to honour special memories while decluttering. 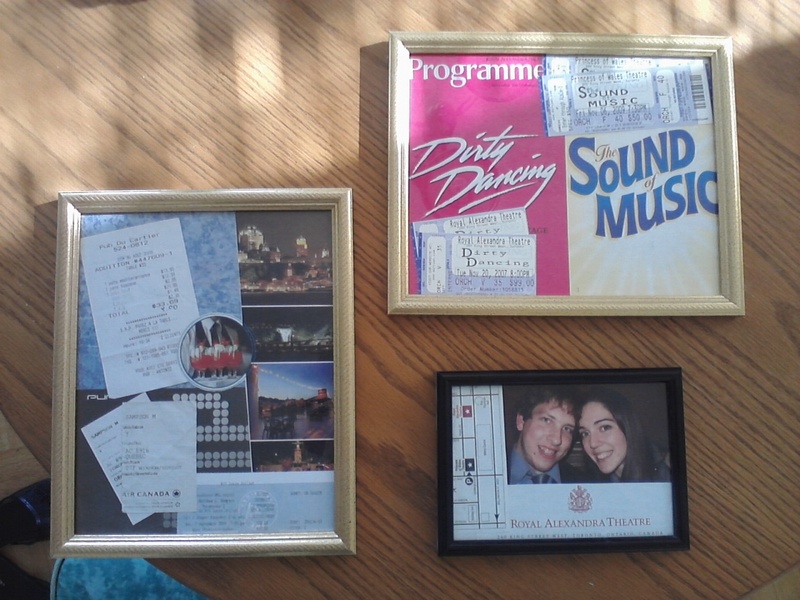 The frame on the left displays memorabilia from our honeymoon, while the two frames on the right display program covers and tickets from shows Matt and I saw on special dates as well as a picture of us during intermission from the first show. I love this idea because instead of having to choose between keeping sentimental clutter or throwing out memories, we can enjoy and share our memories of these special times on the walls of our home! The only question now is where to hang them?